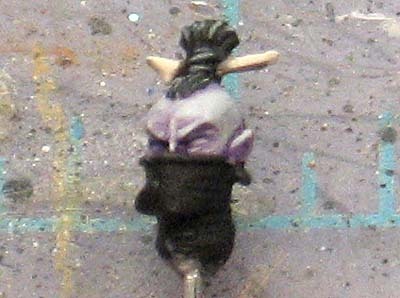 Painting Dark Eldar skin shouldn't be tough to do. It's really just like any other kind of skin except you need to use different colors and keep a few things in mind. I get requests all the time for how to paint pale skin tones. When I first posted pictures of my Raven Guard, I got tons of requests on how it was done. 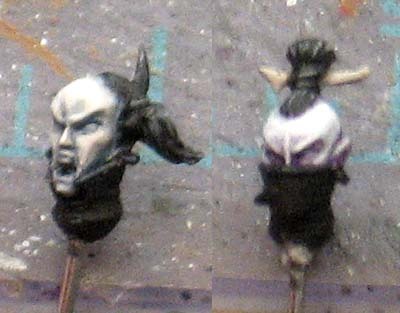 With the Dark Eldar firmly here, let me show you how would I go about painting some skin tones for them in a quick fashion. Nothing complex that requires a lot of work, just a basecoat, a wash and simple highlight really. You can add more steps, but it doesn't take much to get tabletop results. First though, we need to look at pale skin vs "regular skin" tones. Dark Eldar don't spend their free time catching rays like the rest of humanity does. They don't have the rich, warm colors that we associate with healthy, human skin. Their skin is pale, it's lacks normal coloring and even comes in shades we humans aren't used to seeing. This opens us up to using lots of other colors, but we need to stay away from any warm colors. 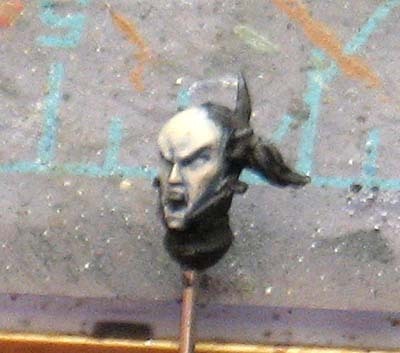 Things like Tan and Dwarf Flesh are no good for our basecoat. We want to use something like Dheneb Stone or better yet a light grey that is similar to that in value (lightness). The Dheneb stone is a warm color and if you can keep your basecoat cool, you'll be better off in the end. 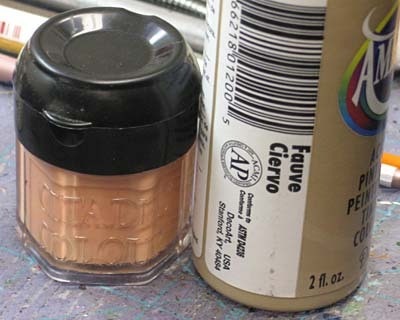 I'm going to limit myself to using just those two colors for my basecoats. Now when it comes to washes, we can use just about any we want... again staying away from warm colors or anything that starts to make the skin tone look human and healthy. Blues, purples, etc. all work perfectly. You can use reds and some browns if you are careful. They may start to make the skin look "normal" but it's still an option. Be careful with green. I would stay away from it at this point. Green can look more rotted and decomposing than it can look pale if you're not careful and they guys are not rotting or decaying by any stretch of the imagination. For now, save the green for your Nurgle army. We want really light colors for our basecoat too. Almost white. Nothing deep and rich in color. Remember, these guys are lacking all of that. We want that washed out, barely any color to their skin look. So you can see with the two different base colors above the subtle difference between the light grey and the stone color. The Dheneb Stone is slightly warmer and a bit more "human" looking if you will. It's not wrong by any stretch, just another option. The Leviathan Purple wash on the stone color comes across a bit warmer than it does on the grey where it looks like a normal purple and has less "red" to it. 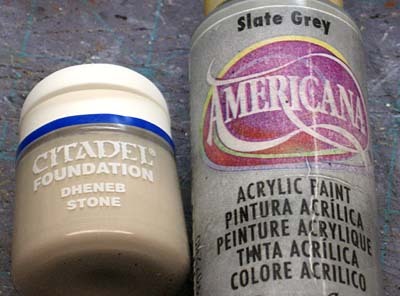 The light grey base color would be the "cool" version and the stone color would be the "warm" version of the two here even though we've used the same wash.
Now let's look at a different color wash over the same base colors. 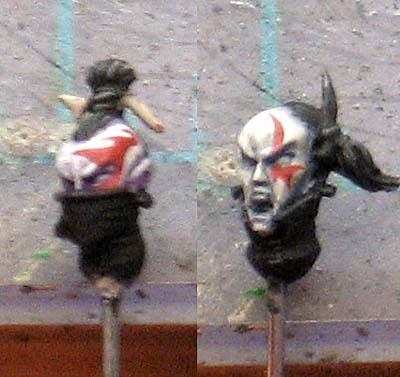 Obviously this isn't the only way to paint Dark Eldar skin, but this might some of you guys who are a little hesitant started. You don't have to stick to these colors either. Experiment with what you have. Keep your colors cool and you should be fine in the end. Now you can take any one of those that we have above and go one more step with them and add some white to your highlight color. That gives you an even more "pale" look to the skin. Actually you can do it with straight white if you thin it down enough and just add a few layers of it in key places. It will really push the contrast and lighten the face. 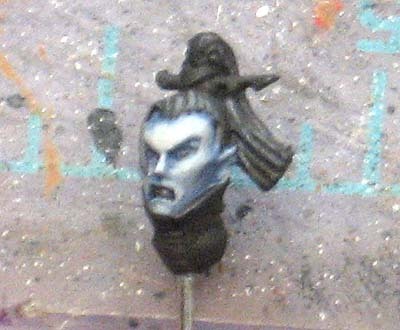 And if you're really looking to go the distance, Grab a spot color from your palette (whatever that may be) and add some facial tattoos to the models. Here I used a red for the contrast, you'll have to play around with the colors you've chosen for your own army to get the best effect. This is almost exactly the same method I have been using for my CSM army except I skipped the highlights so mine are not quite as good. I wanted a very pale, pallid skin tone for the bits of exposed flesh so I simply used a base of Delta Ceramcoat 'Ivory' with a home-brewed wash of 'Payne's Gray' and it works great with very little effort. The ivory is almost white but with a little bit of very light tan, I'm guessing the GW equivalent would be a mix of Bleached Bone and white. 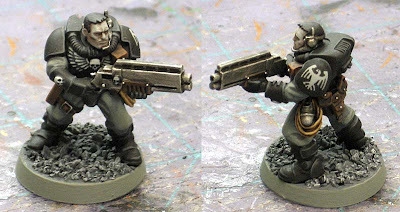 Payne's Gray is a gray/blue mix and I have no idea what the GW equivalent would be, if there even is one. Probably easier to use a light gray base with blue wash than try to figure out equivalents. Anyway, I just wanted to say this is a great tip and I can vouch for this method. Just about to get cracking on a Khorne army and I think this is the sort of flesh Im after, more on the purply side. Thanks for the tut you have given me some idea of where to start for my test minis. 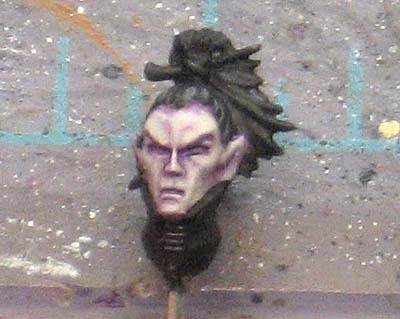 Nice - I've been using the Dheneb Stone/Leviathan Purple wash/Dheneb Stone combo with just a tiny bit of bleached bone on the extreme highlights for my Dark Eldar. It definitely gives them a slightly alien tone that sets them apart from the human skin tones that I use. Thanks for the walkthough - I'll have to try the tattoo thing as well! Dang, just when I thought you would keep it simple, you bust out the facial tattoo bomb. Nice work, good tutorial, thank you Ron! Cool, it looks like most people already use some variation of this approach. As for the tattoo thing, I will add to it and go into scars as well in another post in the future. That second example - Dheneb Stone and Leviathan Purple - is what I was planning on using for some Daemonettes, and judging from the example it's exactly what I hoped it would be. Even though I'm not a DE player, this is an equally useful guide on painting pale skintones. Thanks!